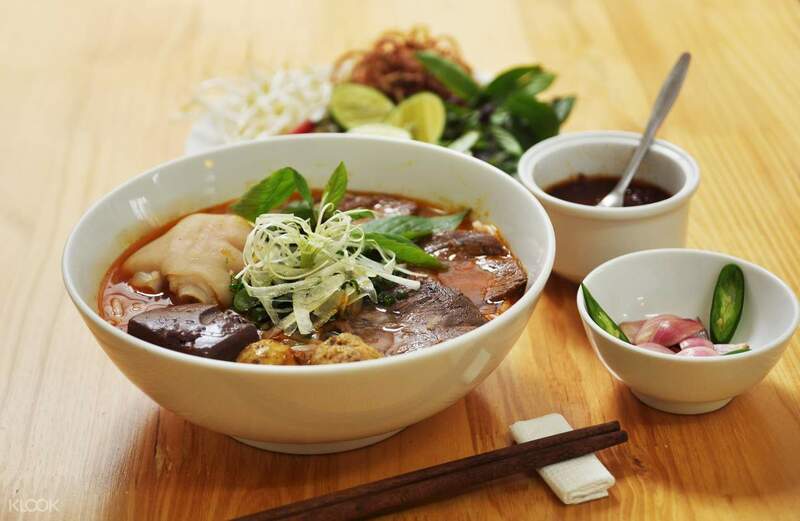 Learn how to cook traditional Vietnamese dishes: Hue Beef Noodle Soup, Nem Lui, Nam Cake, and more! Located near Hue, visit the ancient village of Thuy Bieu for a peaceful retreat into the rich cultural heritage of Vietnam. Found by the Nguyen dynasty, this beautiful village located upstream of the famed Perfume River is home to hundred-year-old ancestral houses, beautiful pomelo gardens, and striking views of the countryside. This private tour starts with a convenient hotel pick up at hotels located in the Hue City center. 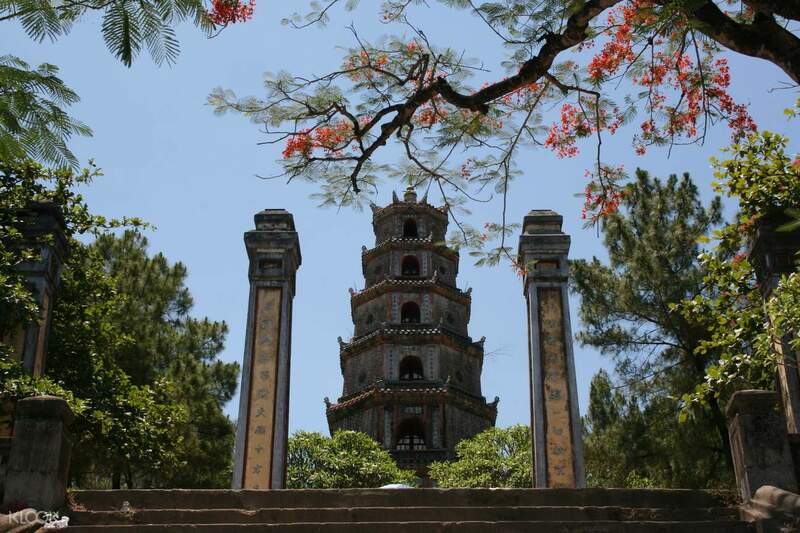 Your first stop brings you to the symbolic Thien Mu Pagoda. This seven-tiered tower dates back to the early 17th century and is regarded as one of the most beautiful religious sites in Vietnam. Travel next to Thuy Bieu, a countryside village surrounded by rivers and fertile greeneries. While you bike around the area, you will see that the village retained the ancient and unique style of architecture, making it a must-visit place for those who seek to learn more about Vietnam’s early history. Its rustic setting, serene atmosphere, and delicious cuisines will truly capture any traveler’s heart. 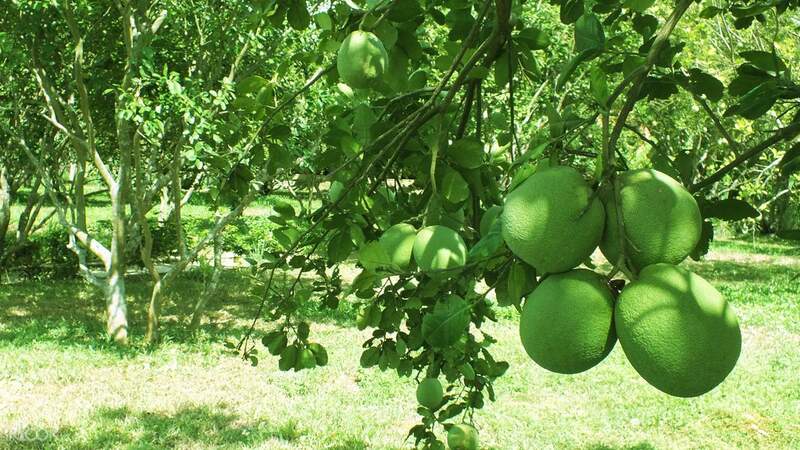 The village also cultivates delicious pomelo or Thanh Tra that was once only served for the royal family! Learn how to cook traditional Vietnamese delicacies such as Nem Lui, Nam Cake, Hue pancakes, and more. Following your cooking classes, take time to relax by relishing in a herbal foot massage after a day of exploring. The tour ends with your safe return at the hotel or meet up location.